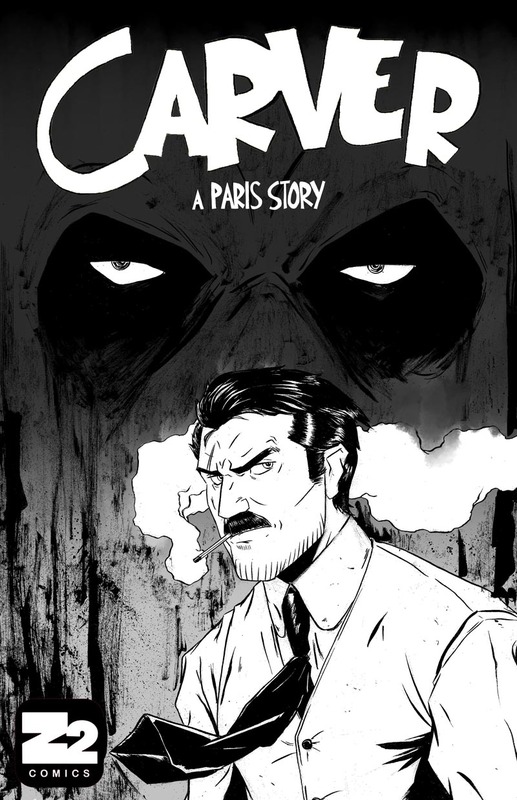 CARVER: A PARIS STORY is a thrilling noir adventure written and drawn by Chris Hunt. I want you guys to keep an eye out for Chris Hunt since he brings a lot to the table. With his new Carver series, he offers up a world fueled by bold artwork and storytelling. It’s a gritty world you’ll want to come back to. Francis Carver is a tough adventurer in 1920s Paris. He has come to the aid of Catherine, the only woman he’s ever loved. Her daughter is being held captive by a most devilish creature, Stacker Lee. In this first issue, we begin with Chapter One, “Who Are You?” Stacker Lee is a gentleman dandy hiding behind a hooded mask. 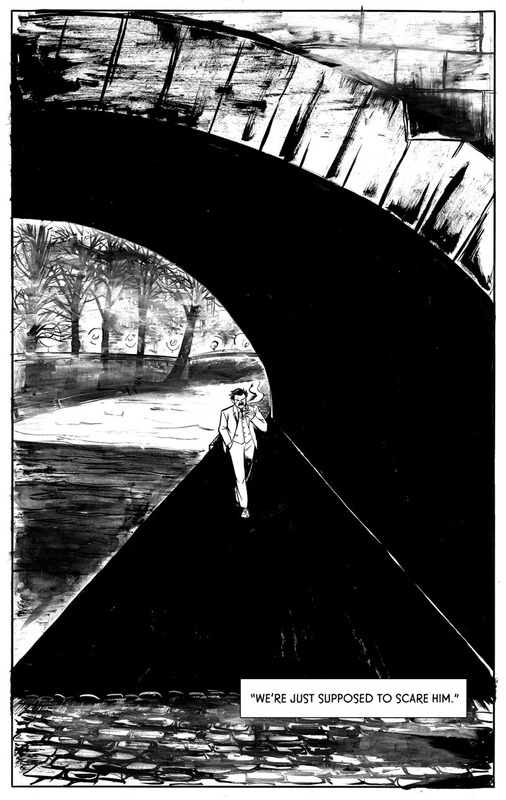 Stacker faces the reader, speaks to someone beyond the frame, makes some threats, and introduces himself byway of introducing his prey to us, Carver. We’re all just getting to know each other, right? Hunt does a great job with these introductions. His expressive linework is nicely controlled allowing for precision amid an energetic sensibility. Hunt studied under master cartoonist Paul Pope and he’s come away with his own fun and vivid style. I like what he’s doing here with his Hemingwayesque main character. Carver is hard as nails and yet quite vulnerable. Hunt offers up to the reader a whole world of possibilities in the spirit of Milton Caniff and Hugo Pratt. 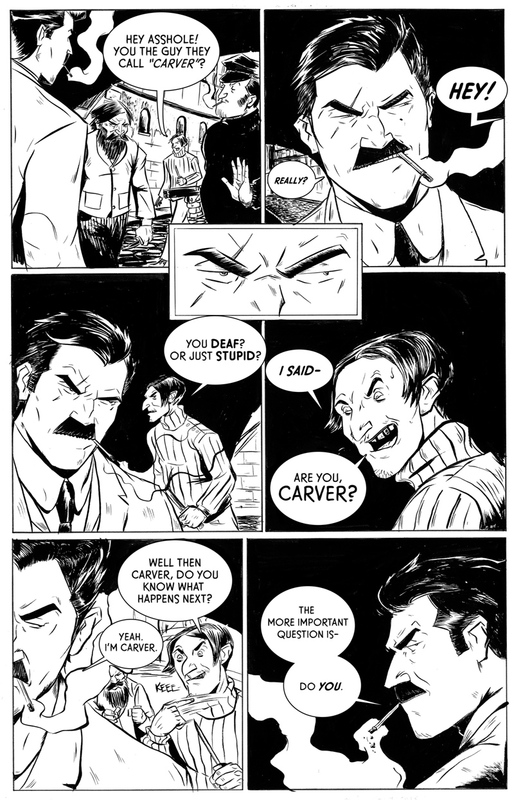 “Carver: A Paris Story #1” is published by Z2 Comics and available as of November 11, 2015. For more details, visit our friends at Z2 Comics right here. Old skool theme. I dig that stark-looking artwork and the hard-boiled character. All the makings of a very savvy comic by the looks. Cheers for bringing this to our attention.